Love shopping on invite-only websites like Gilt Groupe but wish you could do it without the green, well, guilt? Pure Citizen is the answer to all your prayers. The freshly launched site features daily deals on clothing and accessories from companies that are making our world a better place. Each sale lasts just 24 hours and offers 30 to 50 percent off earth-friendly, ethical brands like Spun, Good Society, Hovey Lee, Nicole Bridger, C. Marchuska, and Rebagz. If you're feeling particularly generous, you can even donate a percentage of your savings to a nonprofit of the featured brand's choice. 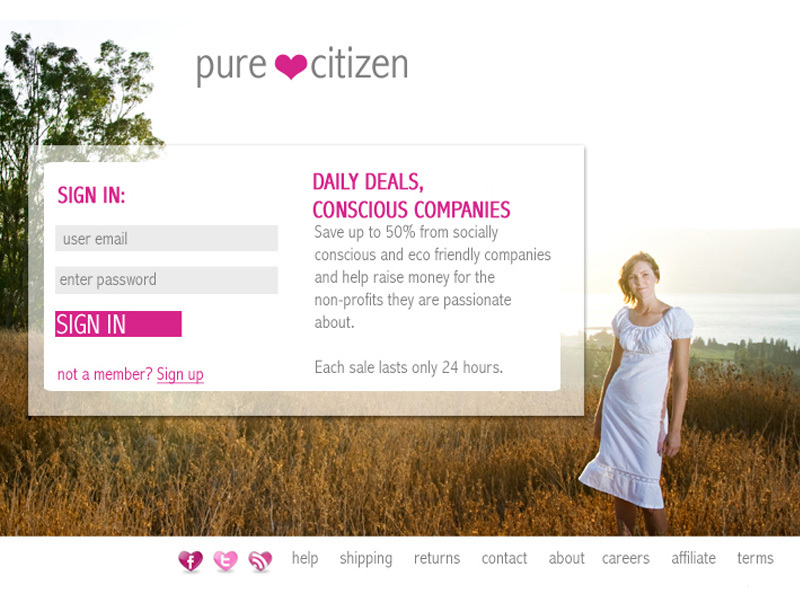 "We all love a sale," says Amy Ludwigson, Pure Citizen's founder, "but nothing feels quite as good as giving back. Here you'll be able to do both."